Being a mom of many kids I think it is pretty good to assume my van is a mess. Even just to go to the store, since we live an hour away, we have to make sure everyone has a drink. Then we have diapers and extra clothes for the baby. Then we need things to entertain the kids since the drive is so long. Ya, you get the picture. It is a never ending list of things we always need in the van. Then all the things that get left in the van and forgot and end up rolling around in the floor until someone needs it again...those times you pray that said item is still even usable. 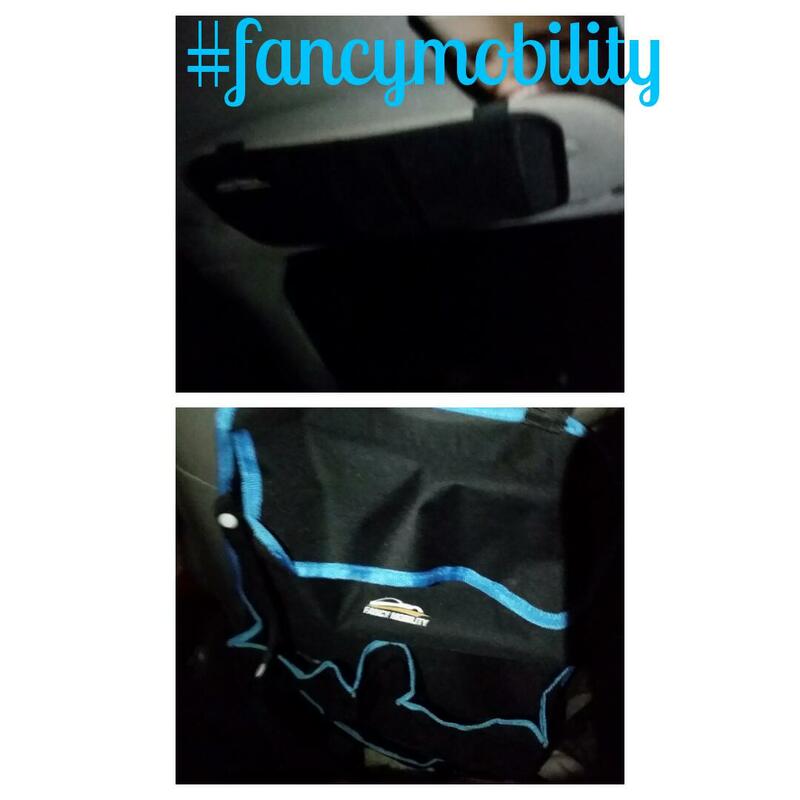 Well I have given the honor to try out #fancymobility's visor organizer and back seat organizer. The visor organizer has a pocket that fits my cell phone perfect. It is mesh so I can see who a call is from or even put on speaker and talk hands free. The backseat organizer is being used by my daughter. She puts her charger for her phone in it. She has a spot that has her drink and then a few things to keep the babies entertained, like extra pacifier and toys. My only wish is that I had one for each seat and kid so they all had a holder for everything. I did recieve this in exchange for my honest and unbiased opinion.